With great news coming out of the Columbus, Ohio and Central Ohio residential and commercial real estate sectors, raw land for sale is a very attractive investment opportunity for large and small investors alike. 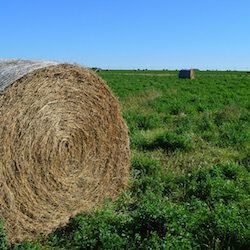 That’s why understanding when, where, and how to buy raw land is incredibly important. Over the last few years, The Robert Weiler Company has purchased millions of dollars in raw land within Delaware County, following our blueprint for assessing profitable land investment. Since the late 1990s, we have invested approximately $50 million dollars into 2,000 acres of Delaware County land for sale. Under the project name “Northstar,” and in partnership with Nationwide Realty Investors (NRI), we envision the construction of commercial and residential properties. Site plans include 1,300 single-family homes and condominiums, 810 acres of green space, and 1+ million square feet of retail, office, restaurant, and senior housing, as well as hotel projects. The land, located north of I-270 in Southern Delaware County, is centered in one of the fastest growing areas in the country. Neighboring the Northstar property is the newly constructed Tanger Factory Outlet Center, scheduled to open in June 2016. A San Francisco-based developer has also recently purchased $3.5 million in surrounding property with plans to develop rapidly. It is clear that this area around the Northstar land is experiencing a significant boom in development and we were wise to get our hands on the raw land when we did. When you buy raw land, one of the most important things to consider is water. And, we’re not just talking about the water you consume. Access to sewage is as equally important as the liquid that pours from the tap. Little or no water access can severely affect your vision for the land use and impact the profitability of your investment. Before you invest in land, make sure you know the location of the main water line and what procedures or permits you’ll need to connect to that line. With a few issues under our belt, we know how important water (and sewage) is to the success of a land development project. The local city or county council zones all land; and the way land is zoned restricts what can and cannot be done with it. Land can be zoned for residential, commercial, or agricultural purposes, or a mix of the three. Zoning can limit what you do with your land, how you build on it, and how you make money from it. When we engaged in land purchases in the 90s, we never envisioned the length of time it would take to break ground on our development. We had to apply in order to rezone the land and were faced with some opposition. The good news is that we navigated the waters and came out with the results we wanted. Now, with all that being said, make sure to research zoning of the land for sale before making an offer. You and your wallet might live to regret it. Most people assume that all land has access to major roads or highways, but this is simply not the case. When we started our Delaware County OH property search and ended up purchasing land for sale in Delaware County, the highways were not as developed as they are today. Luckily, we benefitted from other developers, who have pushed for a new interchange for I-71, as well as an additional exit ramp near Routes 36/37. Make a point to research current and future road access. Are local government officials building a highway near you? Are there plans to build a road through the land? Getting these inquiries answered before purchasing land will save you time and money later on. Not all land is created equal. Taking into consideration things like noise pollution and proximity to garbage dumps are a must when looking to buy raw land. What kind of soil is the land comprised of? Can you easily dig/drill through it? Are there creeks or streams running through the property? These are all items that can affect the value of your investment and interrupt the development of your land. Buying raw land for sale — It all comes down to timing! Almost everything in life boils down to timing, and real estate is no exception. Considering the status of the market and current trends can potentially make or break any raw land deal. If you are building residential units, make sure to look at the demographics and buyers market; you don’t want to finish building with buyers nowhere to be seen! Even if the land you’re looking at has the proper zoning, great water and road access, and a good environment, if the timing is off, nothing else matters. We can consider ourselves lucky with our land investment. Since our initial purchase almost 20 years ago, the market has seen wide fluctuations. We’ve also encountered several delays. The good news is that we’ve weathered the challenges and are excited about the next few years. If you’re considering investing in raw land, make sure you have land brokers at your side. With over 75 years in commercial real estate with Columbus, Ohio and beyond, we’ve seen it all. Contact one of our experienced land brokers at 614-221-4286 to set up a free consultation today.